Recent polling indicates that a majority of GOP primary voters believe Carly Fiorina won last Wednesday's GOP debate, and she's risen to second place behind GOP front-runner Donald Trump because of her strong performance. While Fiorina commendably put The Donald in his place throughout the night, arguably one of the most emotionally powerful parts of her performance was grounded in a tremendous lie. She described a graphic scene from the Planned Parenthood videos that simply doesn't exist. On Friday, Planned Parenthood responded by inviting Fiorina to have an honest discussion about the work the women's health center does. Planned Parenthood Michigan's President and CEO Lori Carpentier wrote in a letter to her, "We can have an honest conversation about whether abortion should be safe and legal in this country, but you should not come at it dishonestly, with totally false claims about what Planned Parenthood does." The letter was skillfully written in a number of ways. The women's health organization astutely acknowledged that Fiorina's and most of its other conservative opponents' opposition to their work is ultimately rooted in her stance against abortion. The letter politely informed Fiorina that their work includes "birth control counseling and services, lifesaving cancer screenings, STD testing and treatment" (and not just abortion services) for women, men, and children. But most importantly, their invitation reminds us of the complete unwillingness of some GOP politicians to allow Planned Parenthood and their clients to represent themselves, or to educate themselves on Planned Parenthood's services and communicate with actual women who have obtained abortions. Earlier this month, the GOP-controlled House Judiciary Committee held a hearing specifically on Planned Parenthood. Not only was the witness list at the hearing predominantly known anti-abortion activists, but representatives from Planned Parenthood weren't even invited to speak. In August, Jeb Bush was able to quite confidently state that women's health issues didn't need $500 million from the federal government (which is, for the record, about $3.25 per woman), and more recently, claimed the organization shouldn't get so much as a "penny" from the government for their work, which, to him, doesn't concern real "women's health issues." I wonder if Bush has even entered a Planned Parenthood clinic in his life or ever listened to the stories of its patients. 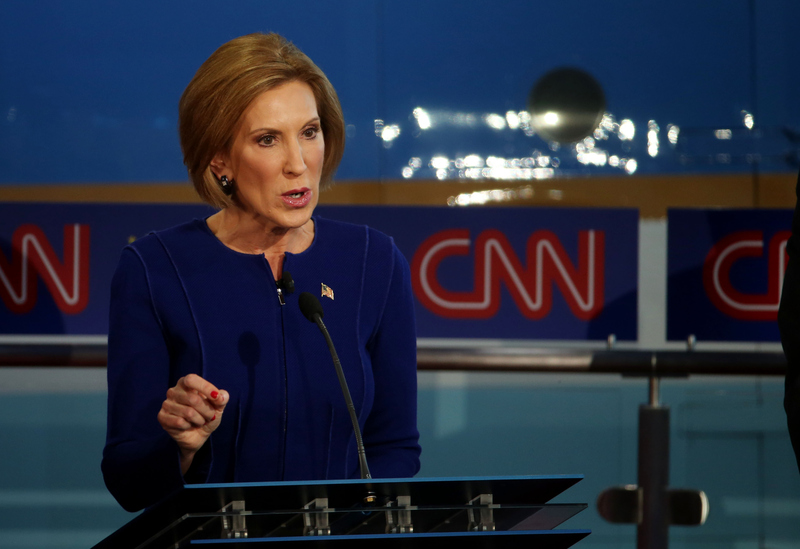 For her to completely misunderstand the "undercover" videos, did Fiorina really watch them? Both of the two GOP debates largely featured men discussing what was best for women. Fiorina, the GOP's only female candidate, had the opportunity to intelligently discuss women's health issues and appeal to female voters, but her personal views on abortion have limited her ability to understand the realities faced by many American women. By inviting Fiorina to participate in an honest discussion, Planned Parenthood has demonstrated that it respects its opponents enough to allow them to represent themselves, despite their very different views. The center's actions starkly contrast with those of conservative politicians seeking to defund the organization, who always have plenty to say about Planned Parenthood despite not once inviting them to have an "honest discussion." The biggest issue at hand with the controversy over Planned Parenthood is grounded in the lack of representation, honest discussions, and compassionate listening. After all, let's not forget that the videos that started it all were obtained not through an open dialogue, but undercover filming and extremely misleading video editing. Fiorina could have taken the first step in bridging a polarizing divide by expressing her concerns and listening to Planned Parenthood representatives' responses in a mature, transparent conversation. Her decision not to reflects how most of the dramatic collisions in politics result from refusal to listen to across the aisle. The GOP candidates' understanding of not just Planned Parenthood, but other polarizing issues like abortion rights and poverty would probably be pretty different if they allowed those who are directly affected to represent themselves before making sweeping, often unfounded generalizations.